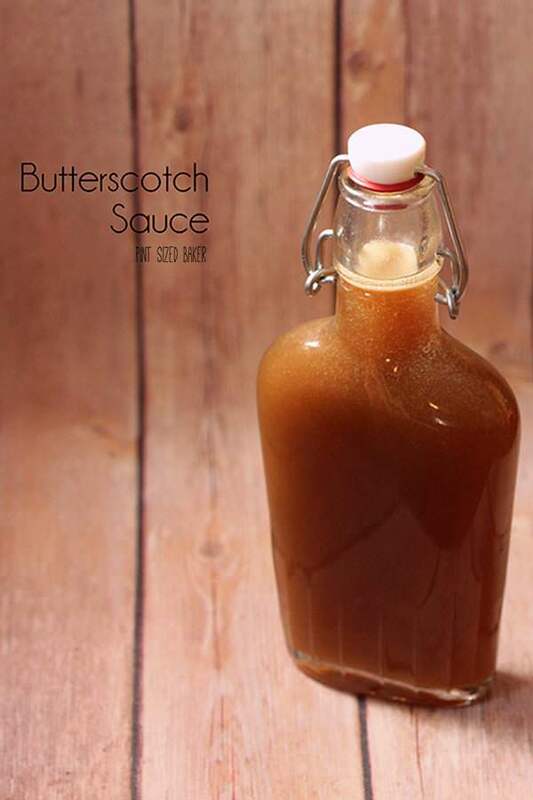 Enjoy a homemade butterscotch sauce this holiday season. It’s great for your fall desserts and gift giving! Makes two cups to eat and share. Oh lordy! I went and made a crazy good dessert. Again. Can you forgive me? Sweet Butterscotch Sauce. Perfect for holiday desserts and ice cream. Put the butter into a medium sized pot and melt over low heat. Stir it a few times to avoid browning and burning. Add the sugars and corn syrup and increase the heat to medium. Stir in the water and salt and bring to a boil. Stir constantly for 5 minutes while boiling. Remove from heat and stir in the cream and vanilla bean paste. Transfer to a jar and cover and chill. This will keep for up to two weeks in the fridge. Makes about 2⅔ cups. I’ve got to be honest with ya. I actually made this tart all in one day. It doesn’t have to take three days to make, but if you are short on time with LIFE and KIDS and a JOB and HOUSECLEANING to keep up with, it can definitely be broken down over the three days. This tart will be a great addition to your Thanksgiving or Christmas dinner. If you aren’t a fan of Pumpkin or Fruit pies (like my husband), make this tart. This would be Mr. Quarts go to dessert! Speaking of Thanksgiving, what are your plans? We are hosting the in-laws here at the house. It’s always nerve-wracking but I try not to let it stress me out. I have a plan. I’ll stick to the plan. If the plan fails, then we just play on the Wii for a few hours and wait for the pizza to show up. This recipe is part one of a three part series including a Tart Crust and Chocolate Butterscotch Pecan Tart. I can’t believe how this can only take 15 minutes! Love it! Oh this sounds really yummy!! I started a diet on Monday and have been looking for fun ways to mix things up and still keep my calories down. Thanks for linking to The Mommy Club, I am off to pin this! It was! This is a horrible time to start a diet. I’ve had success with eating a sugar free, grain free breakfast, lunch and dinner. And if I have fruit instead of a candy bar, it’s a good day! Good luck. Made this today. So good!!! I didn’t have the vanilla bean paste so used pure vanilla. That’s fine. Vanilla is vanilla. You just won’t see the little specs in it. Do you have the recipe for the cake pictured at the top of this page and in the butterscotch sauce recipe? It looks so good. Thanks. Hi Elain – Sorry, this is one of the recipe that got a bit messed up when I was moving the blog around. Looks like I need to clean this one up ASAP! 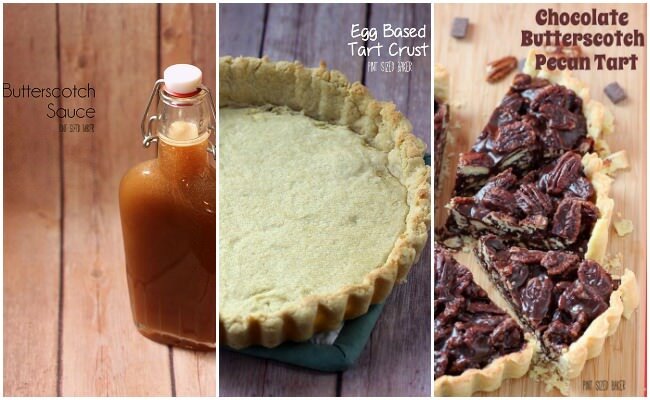 The Chocolate Butterscotch Tart can be found here – https://pintsizedbaker.com/chocolate-butterscotch-pecan-tart/ It also has a crust recipe at https://pintsizedbaker.com/egg-based-tart-crust/ . I hope that this helps you out.